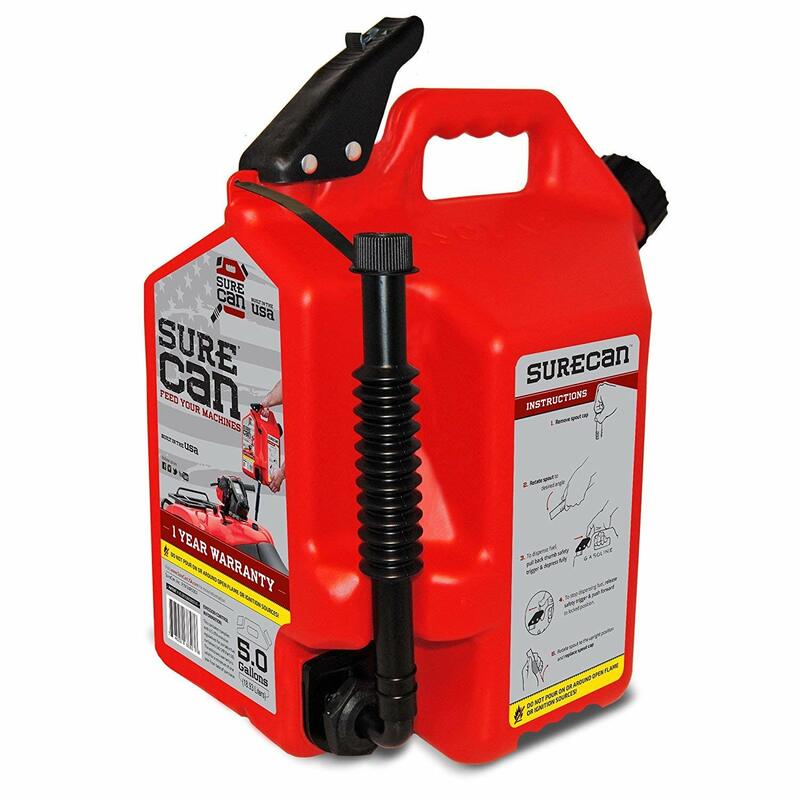 This portable fuel can is unlike any other similar products and is definitely one of the most innovative gas cans invented. The unique spill-proof technology allows those on-the-go to not have to worry about unnecessary clean up. Different cans available for various types of machines. It has a flexible spout that rotates 180 degrees so you will never have to bend over and tip your can again. It also includes a thumb-release trigger that easily allows the gravity to dispense fuel from the bottom of the can. The portable fuel can also self-ventilate. Made of the highest quality materials in the USA, one can feel reassured that there won’t be any punctures or unnecessary spills. Due to the rotating nozzle, you are able to direct where and how much gas to dispense using just one hand. This not only makes it super easy and safe to use, but it also is much better for the environment. To use, pull straight back on the safety trigger and then down on the thumb button. Fuel is immediately released while you maintain control the entire time. To stop the fueling, slowly release the thumb button and allow the extra fuel to drain. Sometimes it’s difficult to find a gas station or fuel in general to power your machines. And although many may keep fuel with them at all times, to pour this fuel can often be messy. This unique portable fuel can that has a rotating nozzle is perfect for those on-the-go who need immediate fuel. The unique 180 degree turn of the nozzle definitely makes a lot of sense as it allows one to stand upright with good posture and not have to worry about aiming the fuel perfectly for no spills. 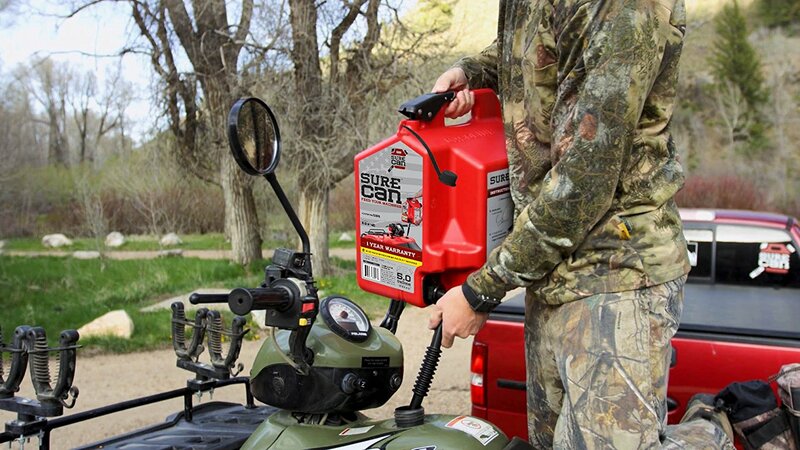 The portable fuel can does seem like a necessary tool to have wherever you go.